Ooooh! I certainly have wished for this before!! Ok, let’s see…. 9. Nick & Norah’s Infinite Playlist by Rachel Cohn and David Levithan – This was such a FUN book! I love all the characters and would love to see them in all new adventures. I adored Amy & Roger’s Epic Detour. I agree with you. It definitely was the beginning of a great love story. Great list! Hopefully Huntley Fitzpatrick is paying attention to all of us wishing for more of the Garretts! Can’t believe I forgot to add A&R, Something Like Normal and Such a Rush. Such fab books! I completely forgot about adding The Statistical Probability.. to my list. I’d love to know more about Hadley and Oliver. Aside from Where She Went, I basically need to read all these books! I’m glad to know they’ll be so good I’ll be wishing for a sequel :) And I’d love to see Mia and Adam have some happy moments! I think ALL of these are on my TBR pile :D I recognize the titles though I never read any of these. You bet. All great choices. i love all of these, but I definitely agree with The Scorpio Races…it feels like, though it definitely ended, there was more there to explore. It’s no surprise we have a few of the same on our lists. Even though I wasn’t a fan of Paradise, a sequel would be nice too.. just to see how she’s doing.. after the ending! agh. Of course I could totally go hang with the Garretts again! And YES to an Amy & Roger sequel. Grayson! Scorpio Races! Sarah Dessen! Sequels to these would be AMAZING! Agree with you about The Scorpio Races, there could easily be another book. Loved Sean and Puck and it felt like it was just beginning! My Life Next Door–maybe a book featuring another one of the Garrett family? We have some of the same books! I love Sarah Dessen, so I agree with you there. 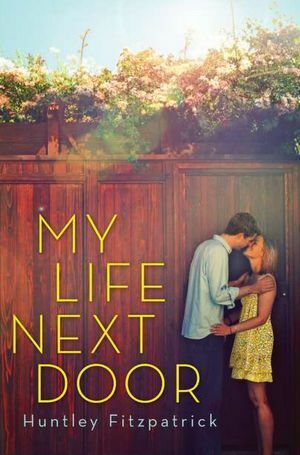 I also have My Life Next Door on my list and Amy & Roger–would love sequels for both books! Great list! I haven’t read many of these, but I definitely agree with you on the Sarah Dessen books and My Life Next Door. I am especially excited to try The Scorpio Races and Amy & Roger’s Epic Detour. Great list! Good call on Paradise! I completely forgot how that one ended. We totally need a sequel! I would LOVE some Sarah Dessen sequels! Even if they’re years later to see where some characters are now. I wasn’t the biggest fan of Amy and Roger but I do think a sequel would be neat. There were so many ways that story could have gone after it ended. I would LOVE a sequel to Statistical Probability. It would be so neat to see how their relationship progresses past the initial love at first sight period. YES YES YES to My Life Next Door. I want a sequel SO BADLY. 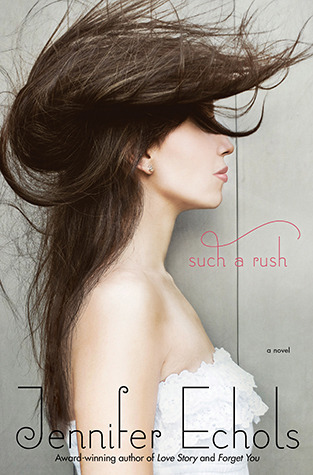 I totally agree with the Sarah Dessen books–I want the sequels to ALL her books, please and thank you! And besides THE STATISTICAL PROBABILITY OF LOVE AT FIRST SIGHT (I preferred THIS IS WHAT HAPPY LOOKS LIKE), I haven’t read any of these! But some are in my TBR pile. I haven’t read any of these, but thanks for sharing your thoughts! 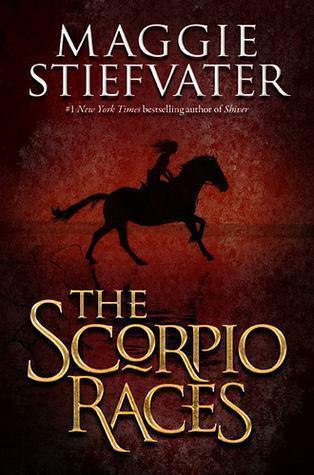 Okay, so I just started listening to The Scorpio Races, and I’m just a few chapters in, but I am loving the world Stiefvater created. I’m still a little confused about the whole waterhorses business, but SEAN KENDRICK! I would love a companion novel to My Life Next Door. I don’t know if I would want another story focusing on Sam and Jase, but a book featuring another Garrett would be A-Okay by me.